Is there a scientist in the house? An endangered species: the neuroradiologist as clinician-investigator. Department of Radiology, University of Utah, College of Medicine, Salt Lake City 84132. You are going to email the following Is there a scientist in the house? 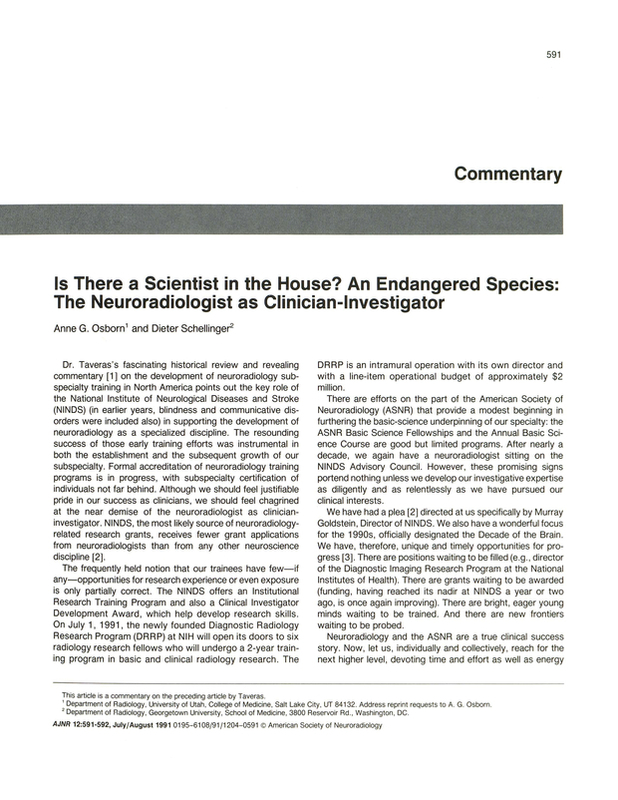 An endangered species: the neuroradiologist as clinician-investigator.